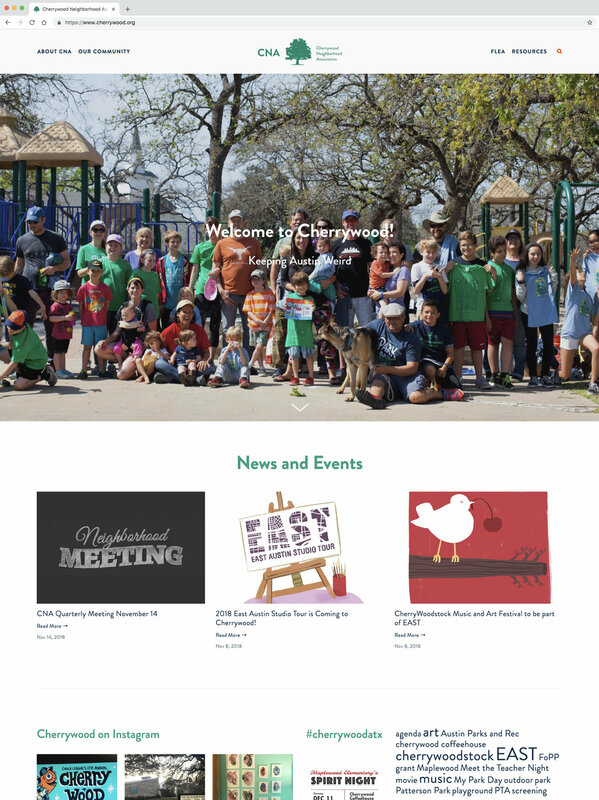 A volunteer web design project for the Cherrywood neighborhood in Austin, TX. Myself along with two other committee members overhauled the older version. This cleaned-up, simplified version can be found at cherrywood.org. An archived version of their home page is shown below.